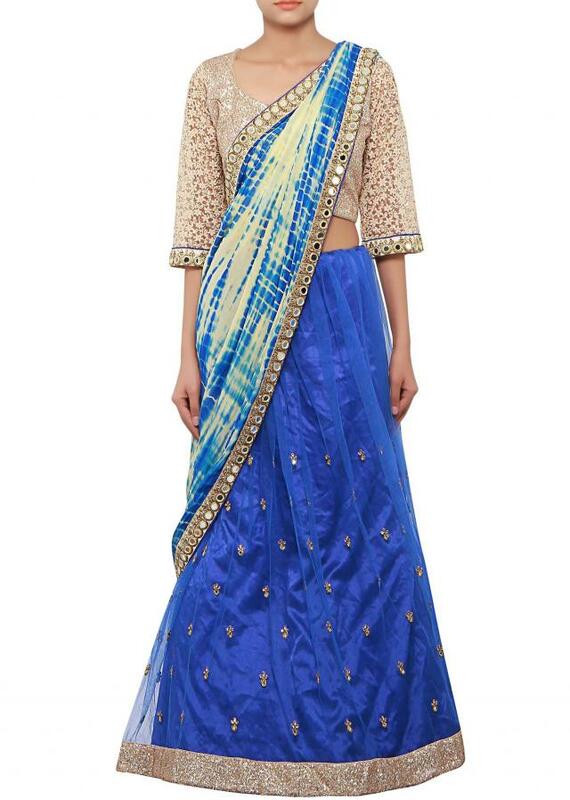 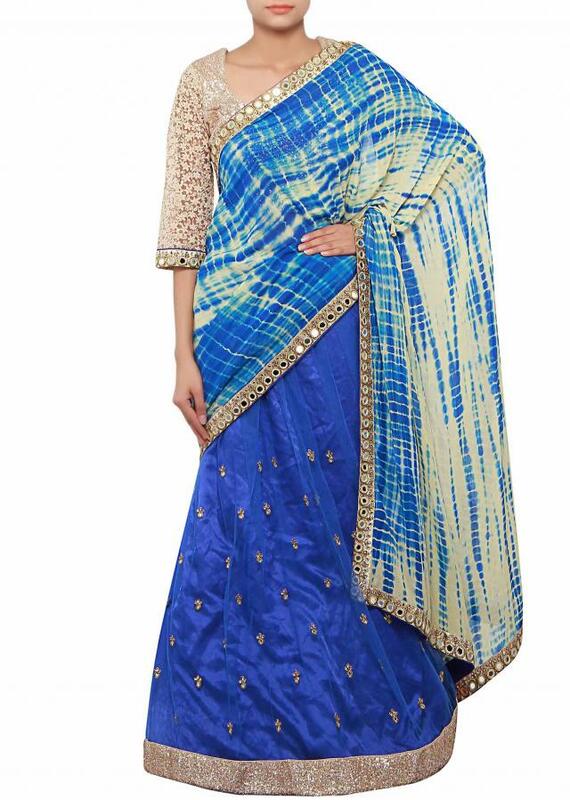 Half and half lehenga saree featuring with pallav in creamish blue georgette with batik print. 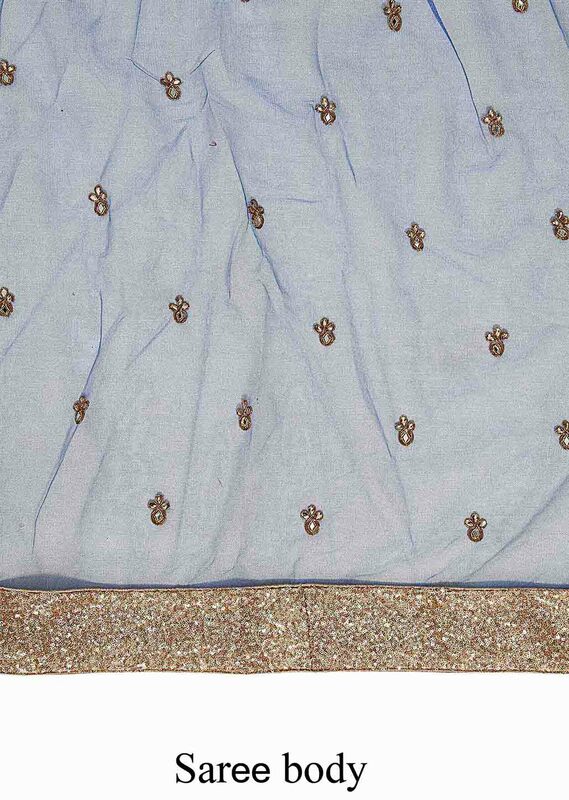 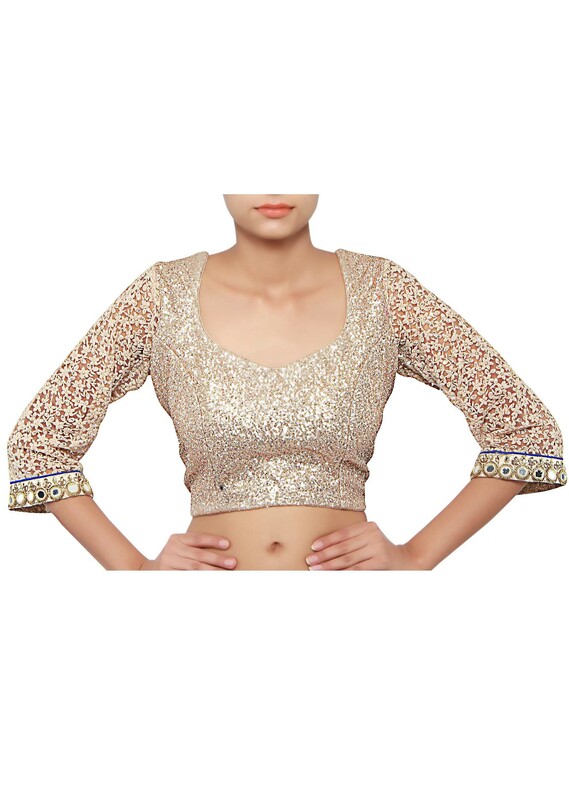 Its enhanced in mirror embellished border along with sequin. Matched with ready blouse in sequin embroidery.